The wide variety of welding methods we dispose of allows us to offer our customers different alternatives for the production of the product, adapting to their needs. We have EN 15085-2 (CL1) certification and two European welding engineers. 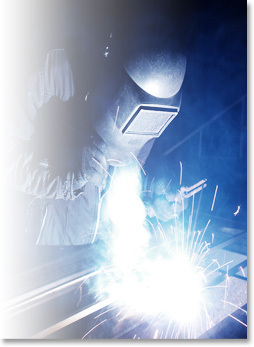 We are certified in carbon steel, stainless steel and aluminium welding. Our installations are prepared for welding work ranging from very small parts to large structures, all disposing of means for the different types of welding. We specialize in the manufacture of safety parts, railway fuel tanks, brake parts, railway structures, gear boxes, etc.